Our comfortable 3 bedroom holiday home in Canow offers you an unforgettable stay. The combination of water, forest and nature activities will make your holiday unique. Canow is a district of the municipality Wustrow in the district Mecklenburgische Seenplatte in Mecklenburg-Vorpommern (MVP). The village is located on the southern edge of the Mecklenburg Lake District between Labussee and Canower See and has about 160 inhabitants. Canow is known as a resort for water sports, fishing, hiking, cycling, running and its nature. The two lakes are connected by a short channel which belongs to the Müritz-Havel waterway. Due to its location with its many interconnected lakes and forests, this region is an ideal place to relax all year round. In the wine cellar: Here you can enjoy your precious drops. During the season, a grocery store from May (including fresh bread rolls and home-baked cake) is available for small purchases. Further shopping possibilities are in Wustrow (6 km), Mirow (12 km), Rheinsberg (12 km) etc. Habe selten ein so toll ausgestattetes Feriendomizil gesehen. Alles ist zu dem noch recht hochwertig. Der Blick und die Lage sind sehr idyllisch und lassen die Seele fast von alleine Baumeln. Gerne wieder. Das Haus ist hochwertig ausgestattet und sehr ruhig gelegen, also optimal zum entspannen und abschalten. Die Vermieter sehr freundlich und reagieren sehr schnell auf die Wünsche der Mieter. 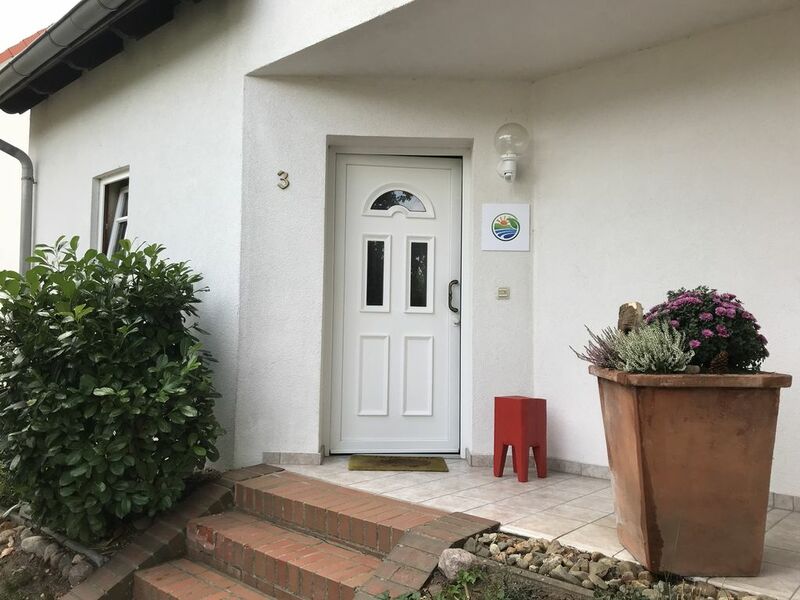 Super Ferienhaus mit allem ausgestattet was man sich so wünscht. Wirklich tolles Ferienhaus. Gute Ausstattung. Sehr sauber und gepflegt. Gute Kommunikation mit dem Vermieter. Das Haus ist sehr sauber und umfangreich ausgestattet, es fehlt an nichts, sogar Mückenspray und Mückenstift haben wir dort gefunden, alles andere wie z.B Senseo, Toaster, Töpfe, Gläser ist mehr als genug vorhanden. Die Gegend ist kaum zu übertreffen, wir waren dort mit unseren Kajaks (150 m zum Wasser). Großes komfortables Haus super ausgestattet. Sehr aufmerksame Gastgeber .Zum Wohlfühlen fehlte es an nichts. Die Natur ist wunderschön.Wir werden mit dem Fahrrad wieder kommen. Activities for the family there are some in the Mecklenburg Lake District: small garden behind the house, a playground in the village, rental service for various boats from houseboat to paddle boat, fishing, bike rental, beautiful forests and bathing areas, trips to Rheinsberg Castle, Wildpark MV in Güstrow , BÄRENWALD Müritz in Stuer, Slawendorf Neustrelitz. Experience the diversity of the cultural cities Neustrelitz and Rheinsberg with theater, festivals, art and architecture.